The Louisiana Department of Wildlife and Fisheries announces closure date for the Black and Clear Lake Dam and Spillway is scheduled for Dec. 4. 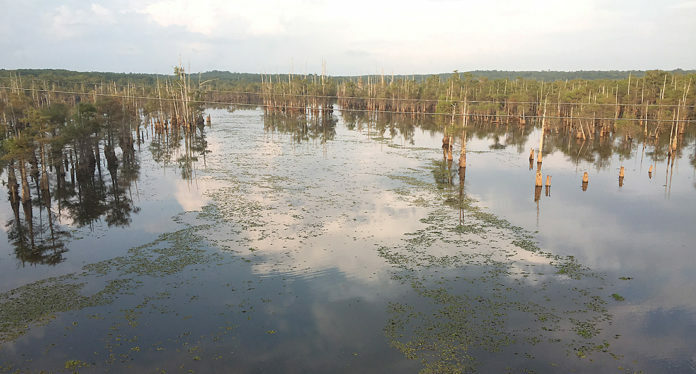 The drawdown was recommended by both the LDWF and Northwest Louisiana Game and Fish Commission to move, strand and desiccate giant salvinia from July through November. Giant salvinia coverage has been reduced considerably from June to November due the physical approach of this drawdown and continued herbicide applications.